Are you thinking about putting your home on the market? If so, and if this is the first time you’ve undergone the process, then there are a number of errors made by first time home sellers that we’d like to help you avoid. 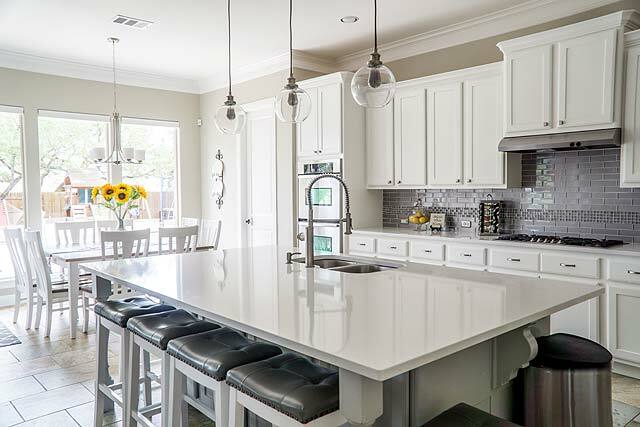 The kitchen is the most important room in the home according to buyer surveys. It’s not as simple as listing the property, then sitting back and waiting for offers. There are ways of making your home more attractive to potential buyers—which can create a multiple bid situation and a greater profit for you. Read on for a list of some of the projects that are most often overlooked by first time home sellers. There is also expert advice on how you can avoid them to ensure that your first effort will be a success. 1. Failing to make the necessary kitchen upgrades. Think back to the time when you were looking to purchase your first house. Remember the things that stood out the most? If you saw that a particular room looked run-down and worn at the edges, what did you think? Chances are, you were more inclined to make an offer if all the rooms were attractive and modern-looking. This is especially important in the kitchen. The simplest upgrades can make a world of difference. Now that you’re selling, it’s time to take that knowledge and make it work to your advantage. If your appliances are outdated, consider replacing them to greatly improve the space. Stainless steel refrigerators with side-by-side doors will help to give the kitchen a sleek, modern vibe. It also helps if all of the appliances have a similar appearance. Bear this in mind if you’ve replaced a piece within the last few years; you can use it as a guide for updating the rest. Also, don’t overlook the smaller things, like the microwave and the toaster oven—these are far more eye-catching when they’re new. If it fits your budget, invest in new countertops as well. Do you have a modern dishwasher? If not, consider installing one, even if it means losing cabinet space near the sink. 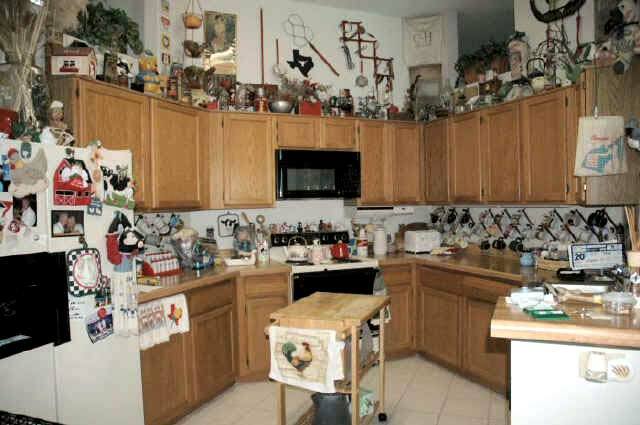 When you redo the cabinets, make sure they’re roomy enough to make up for the difference. Speaking of space, if it allows for the installation of a double oven, go for it—the buyers will be envisioning dinner parties and holiday gatherings before they’ve even left the property. For the countertops, buyers greatly prefer stone over laminate. Be sure to pick one that works well with your chosen color scheme. For example, an earthy soapstone will work best with more neutral shades, while marble will provide the ideal counterpoint to bolder palettes. Other options include slate, onyx, travertine, and limestone. Your real estate agent can advertise these updates to make the property more appealing. While you may balk at the expense, remember that this is an investment. 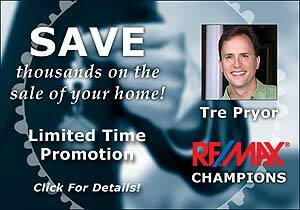 Follow the advice of the experts and the benefits will outweigh the costs. 2. Allowing the bathroom to fall into disrepair. We get it, the bathroom isn’t a room in which to entertain guests. As a result, it’s tempting to overlook the space when considering home renovations. If you’re selling your home, however, it’s important to make sure the bathroom receives the same special treatment as the other rooms. A fresh coat of paint or new wallpaper can work wonders in an outdated or old-fashioned bathroom. If a linoleum floor is cracked or peeling, replacing it is a fairly inexpensive job, and isn’t too complicated for do-it-yourselfers. Perform upgrades on fixtures that are either damaged or hopelessly out-of-date. If you have the means and the counter space to install a double sink, consider doing so. For smaller spaces, choose a pedestal sink with a basin constructed of the same natural stone used in the kitchen, to help streamline the space. A tiled shower area or a whirlpool tub in the master bath can mean the difference between a halfhearted shrug and a sale. 3. Leaving too many personal items lying around. I almost didn’t include this photo. But it really underscores how important it is to remove the clutter! When people are browsing your home they should be able to envision themselves living in that space. It’s difficult for people to picture starting a life in a new home if they see it’s already occupied by another family. By removing any family photos and personal items, it’ll be easier for buyers to form a connection with your home and start to picture it as their own space. While this might seem like a small detail, it shouldn’t be ignored, especially if you’re trying to sell the property in a hurry. You will be able to take all your prized possessions to your next home. 4. Failing to make the house spotless. Your home should give off a beautiful first impression. In order to make your home more desirable, it’s necessary to attentively clean it and make sure it looks brand new. You should ensure that each room has been vacuumed, there’s no clutter in any room and each room has a pleasing aroma. If possible, try lighting a candle in your home during an open house to add in a gorgeous scent. Also, if it’s warm enough, open the windows to let in the fresh air. While cleaning your home pay close attention to the kitchen and bathrooms, making sure that all of the appliances are as clean as they can get. 5. Leaving too much debris or litter around the property. The exterior of the house is just as important as the interior, particularly if you have a large property. It’s easy for homeowners to let the landscaping slide, but when you’re selling, you should be very keen on how your lawn looks and ensure your home has a nice curb appeal. If there are aspects of your home that need work, such as missing shingles, a broken window, or an outdated front door, you should ensure these areas of your home are resolved before the open house. When buyers are looking at your home, they’ll form an initial opinion of your property based solely on the outside of your home. Therefore, it’s very important to keep your lawn looking fresh and green and the exterior of your home clean and updated. 6. Overlooking the garage or shed. While tidying up your home you shouldn’t neglect your garage. It should be washed down if it has some dirt or debris on it and should be clean and clutter-free. Also, if you have the time clean and sine the windows that are in your garage. Even if the space in question is just a single-car garage, do your best to de-clutter the space. 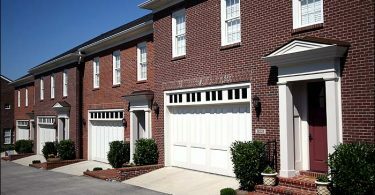 By cleaning up your garage it’ll appear significantly larger and will appeal to more buyers. By avoiding these errors made by first time home sellers, buyers will more likely be interested in your home. They will also have an easier time envisioning themselves living in it. It’s not tricky to make your home more enticing it just requires some work and attention to detail. If you’re on the other side of the deal, you may be interested in some great tips for a first time home buyers.